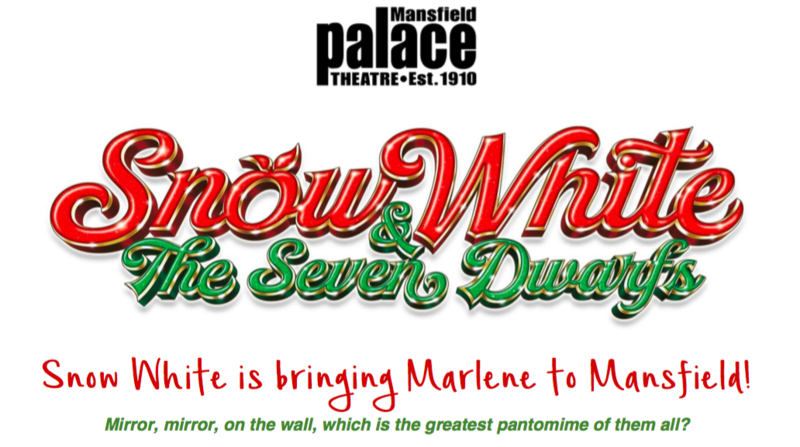 Mansfield Palace Theatre has today announced their star casting for this year’s Christmas pantomime, Snow White and the Seven Dwarfs. 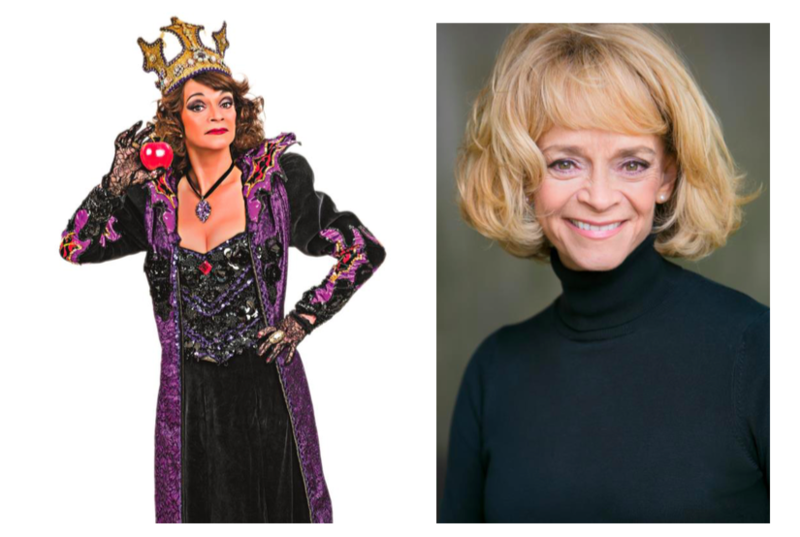 They are pleased to reveal that Sue Holderness will be playing the villain of this year’s festive family feast, which runs at the Leeming Street Venue from Saturday 1 December 2018 to Sunday 6 January 2019. Sue is a much-loved British actress, best known for her role as Marlene in John Sullivan’s hit BBC1 sitcom Only Fools and Horses. Sue played this iconic role from 1984 until the final episode in 2003. Such was the success of the character, that Sue and her on screen husband (John Challis) were asked to co-star in the hugely popular spin-off The Green Green Grass, which ran for four series, and three Christmas specials. Sue’s numerous other TV credits include The New Avengers, Minder, Heartbeat, Cold Feet and Casualty. Alongside her work on screen, Sue also works extensively on stage, and can currently be seen in the National Tour of Quartet, alongside Paul Nicholas, Wendi Peters and Jeff Rawle. Among Sue’s many other theatre credits are the acclaimed one-woman play Our Kid, about Myra Hindley, Calendar Girls (four UK tours) and An Inspector Calls (UK tour). Sue has been a guest on a number of TV shows, with recent appearances including Celebrity Antiques Road Trip, Loose Women and All Star Mr & Mrs, which she won! Most recently, Sue was one of the celebrities on Channel 5’s Five Celebrities go in Search of Santa. "I’m greatly looking forward to frightening the good folk of Mansfield this year as the Wicked Queen in Snow White and the Seven Dwarfs. It’s one of my favourite pantomimes, having everything you could possibly want at Christmas time - wonderful music, great comedy, a moving love story and a very scary Wicked Queen. Mansfield Palace Theatre has already sold over 15% of tickets for this year’s pantomime run, with customers reminded that Pay Now Save Now tickets are available until 1 September offering a saving of £1.00 per ticket. To book tickets for the show which includes signed and relaxed performances, please visit mansfieldpalace.co.uk or call Box Office on 01623 633133.